Some alcohol is best served aged. This concept also applies to the Beam enforcement action. For starters, as highlighted in this prior post, Beam has been under FCPA scrutiny since 2012. Moreover, the conduct at issue in the enforcement action occurred between 2006 and 2012 – beyond any conceivable statute of limitations period – and focused on Beam Global Spirits & Wine (India) Private Limited. According to the SEC, the Indian entity was acquired in 2006 and its books, records, and financial accounts were consolidated into Beam’s books and records and reported by Beam on its financial statements. “These proceedings arise from violations of the books and records and internal accounting controls provisions of the Foreign Corrupt Practices Act … by Beam in connection with conduct at Beam Global Spirits & Wine (India) Private Limited (“Beam India”). 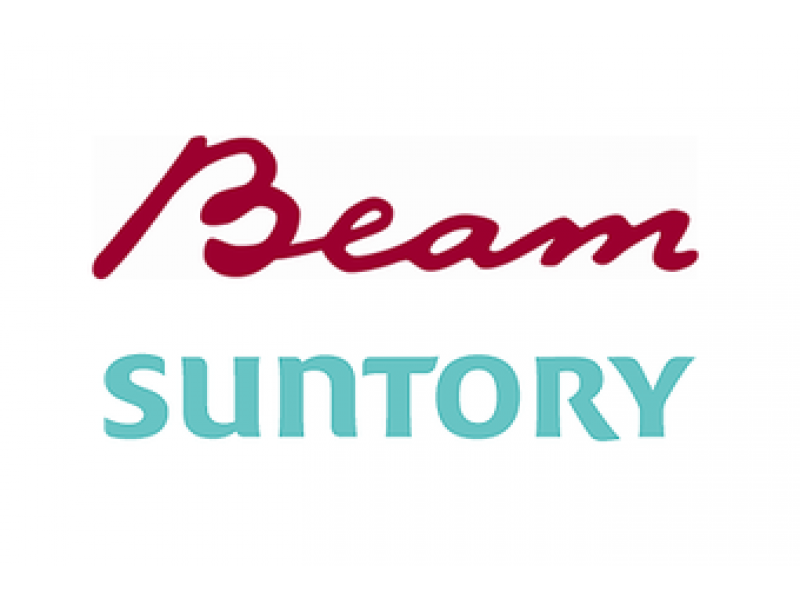 Beam makes and sells branded alcoholic beverages worldwide, and Beam India bottled and sold Beam products in India throughout the relevant period. From at least 2006 through 2012, Beam’s Indian subsidiary, Beam India, made improper payments to various government officials in connection with obtaining or retaining business in the Indian market. Senior executives at Beam India directed schemes using its third-party sales promoters, distributors and other third parties in connection with sales, promotions, distribution, and other commercial activities. The promoters, distributors, and other third parties made illicit payments to employees at government controlled depots and retail stores and various government offices to increase sales orders, get better positioning on store shelves, process and secure license and label registrations, and facilitate the distribution of Beam India’s spirit products from its bottling facility to warehouses in other states. The third parties received funds, or were reimbursed, for the illicit payments by providing fabricated or inflated invoices to Beam India. The expenses were falsely recorded at Beam India and thereafter consolidated into Beam’s books and records. During this period, Beam also failed to maintain a sufficient system of internal accounting controls. In 2011, Beam sought to introduce a new product in India. The label registration for the product stalled when the Indian excise official with the discretion to issue the registration told the third-party bottler of the product that an improper payment to him of one million Rupees (approximately his yearly salary or $18,000) was required to approve the registration. The illicit payment request ultimately made its way to three senior managers of Beam’s Asia Pacific/South America region (“APSA”). The payment to be made by the third-party bottler and a method of reimbursing the bottler for making the payment was approved. Within weeks after communicating this down to the third-party bottler, the label registration was approved by the excise official and Beam India’s bottler began canning and Beam India began distributing the new product. “In India the alcoholic beverage industry is highly regulated by government authorities. Beam India, and third parties acting as agents on its behalf, had numerous interactions with government officials related to importation of distilled mixes for its spirit products, shipments to its bottling facility in Behror, Rajasthan, various inspections of the Behror plant, shipments from the factory in Behror to distribution warehouses in multiple states in India, label registrations required to distribute each brand of liquor in each state, licensing of warehouses in states prior to retail distribution, and sales to retail stores that were operated by the Indian government. Introduction of new spirit products and distribution warehouses required new applications for label registrations and licensing of the warehouses in each state. Label registrations and warehouse licenses also required yearly renewal in Rajasthan and in the twenty-six Indian states where Beam sold its products or had warehouses. Prior to its acquisition by Beam, the Indian entity that subsequently became Beam India regularly made direct and indirect payments to Indian government officials in connection with inspections of the bottling facilities, distribution of its products, label registration and warehouse license applications and renewals, and advantageous product placement and promotion in both government and retail stores. It also made payments to government officials responsible for ordering alcoholic products for distribution in government run retail channels in order to secure and increase sales of spirit products. The Indian management maintained a second set of financial records that tracked the payments and disguised the schemes in the entity’s books and records to make it appear that the illicit payments were legitimate business expenses. “From 2006 through the end of the third quarter 2012, Beam, through Beam India, sold liquor products in six markets where the Indian state government regulated both the distribution and retail sale of alcoholic products. These included the Indian states of Delhi, Tamil Nadu, Andaman & Nicobar, Orissa, and Karnataka and the Indian military’s Canteen Stores Department (“CSD”). During this period, Beam India used third-party promoters to market its products in the government channel. The third-party promoters, with Beam India’s knowledge and authorization, also directed improper payments to government officials at retail stores and depots in order to secure orders of Beam products as well as placement of Beam products in a prominent shelf position in retail stores. The illicit payments, made with the knowledge, authorization, and complicity of Beam India’s management, were funded through the submission of inflated invoices from the promoters, often for inflated per-case commissions. Senior Beam India management directed the distribution of funds to the various promoters in different markets to make payments to government officials in those states. Certain Beam India finance executives maintained off-the-books accounts that tracked amounts and uses of the funds provided to promoters. For example, over the period, Beam India paid more than $1.5 million to its promoter in the CSD channel and over $550 thousand to its promoter in the state of Delhi to make improper payments to government officials at government-controlled retail stores and depots in those markets. “From 2006 through the end of the third quarter 2012, Beam India also made improper payments to insure timely inspections at Beam India’s Behror manufacturing facility, to Indian government officials in fourteen states to secure and expedite the processing of annual label registrations for distribution of Beam’s products from Rajasthan to other Indian states where the liquor was to be sold, and for warehouse licenses in several states that served as depots for Beam India’s products. The payments fell into two categories, payments to lower level government employees to insure routine administrative processes and payments made to senior level ministry officials who had discretion to issue or renew label registrations or warehouse licenses, necessary for the distribution and sale of Beam’s products in the various states. In 2011, Beam India sought to introduce Beam’s profitable “Ready to Drink” (“RTD”) products in India. At the time, Beam had embarked on a broad global initiative to develop RTD beverages in emerging markets and had targeted India as one of the markets to introduce RTD. In May 2011, Beam India contracted with a third-party bottling facility to produce the RTD drinks. Applications were then filed with the Excise Ministry to obtain the label registrations required to operate the facility and bottle RTD products in that state. “After Beam acquired Beam India in 2006, the company provided Beam India management with its Code of Conduct manuals and additional compliance training. Beam also instituted annual internal audits starting in 2008. 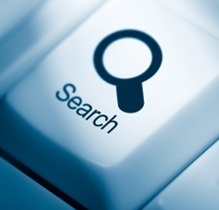 In 2010, Beam engaged a global accounting firm to conduct a compliance review of Beam India. The accounting firm interviewed executives at Beam India and conducted a limited sample testing of transactions. In early January 2011, the firm reported that certain Beam India executives believed that “promoters are likely making grease payments” to government officials in India and, as a result, recommended that Beam follow-up and “conduct and document due diligence to confirm activities undertaken” by third parties, “investigate red flags,” “discuss legal considerations of third party actions taken on Beam’s behalf,” and “consider need to further review” the CSD and other military outlet businesses. After receiving this report, Beam consulted a U.S. law firm with FCPA expertise, which advised that these issues required follow up. Beam then retained an Indian law firm to review and expand upon the work performed by the accounting firm. The Indian law firm interviewed Beam India senior management to determine whether improper payments were being made to Indian government officials in contravention of company policy and the FCPA. The Indian law firm reported that Beam India managers believed that third parties in India may make payments and/or provide gifts to customs officials and government employees in the CSD channel. The Indian law firm confirmed many of the accounting firm’s recommendations including additional FCPA training and revising contracts with third parties. Beam then requested its U.S. law firm to review the report and work done by the Indian law firm. Before the U.S. law firm completed its review, the firm forwarded to Beam’s general counsel’s office a July 2011 SEC enforcement action concerning FCPA violations by Diageo plc in India. Diageo, a direct competitor of Beam’s in the Indian spirit markets, had settled an SEC administrative action related to, among other conduct, payments made through its third-party promoters to Indian government officials to obtain increased spirit orders in government sales channels and to secure initial and annual label registrations and other administrative approvals critical to Diageo’s business in India. Beam subsequently sent a lawyer from its General Counsel’s office to India to interview senior Beam India management to ask whether similar conduct was occurring at Beam India and to provide additional FCPA training. Thereafter, that lawyer revised Beam India’s agreements with its customs house agent and third-party promoter in the CSD channel, the largest revenue channel for Beam India, and used those agreements as templates for agreements with other third parties in India. In August 2011, the U.S. law firm reviewed the Indian law firm’s report and noted that the Indian law firm had not provided an analysis of Beam India’s books and records, internal controls or other issues related to its finance and accounting practices, that it had not conducted any substantial transactional testing, and that it raised issues concerning Beam’s oversight of third parties and the potential conduct of those third parties. In addition to confirming the advice given by the major accounting firm and the Indian law firm, the U.S. law firm proposed additional recommendations, including that “Beam should strongly consider undertaking a financial review . . . and that Beam should consider structuring the review so that in-house or outside counsel engages an outside forensic investigator to conduct the review . . . .” Beam did not then conduct additional transactional testing as advised by the U.S. law firm or conduct due diligence on third parties as advised earlier in the year by the global accounting firm. The settlement amount is approximately $8.2 million as the order requires Beam to pay disgorgement of $5,264,340, prejudgment interest of $917,498, and a civil monetary penalty of $2 million. “In determining to accept the Offer, the Commission considered Respondent’s self disclosure, cooperation, and remedial efforts. Beam voluntarily disclosed this misconduct to the Commission staff and timely shared the facts developed during the course of an internal investigation by a special committee of its board. Beam also cooperated by voluntarily producing documents, summarizing its factual findings, translating numerous key documents, providing timely reports on witness interviews, and making current or former employees available to the Commission staff, including those that needed to travel to the United States or elsewhere for interviews.